The Patron's Bowl was inaugurated in 1997 in honour of the patrons of the Singapore Turf Club. The inaugural winner of the set-weight contest for four-year-olds was the Sungei Besi raider CASINO KILLER, ridden by K K Loh and trained by Francis Nathan. Home based trained THE JOLLY ROGER won the next running and since then, the race has been confined to Singapore based horses. 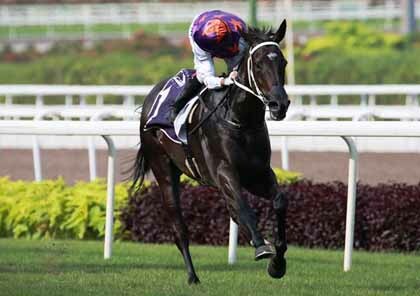 The brilliant sprinter BOCELLI proved to good for his rivals in the 2001 running of the race which is the first leg of the Singapore championship for four-year-olds. Visiting Macau jockey WH Lao was successful in the 2002 running astride the Charles Leck trained BON AMIE. In 2006, prizemoney was increased by two-fold to S$500,000 and the race was elevated to Group 1 status. Patrons' Bowl was staged over 1600m for the first time in 2010 and became the second leg of the Singapore four-year-old challenge.